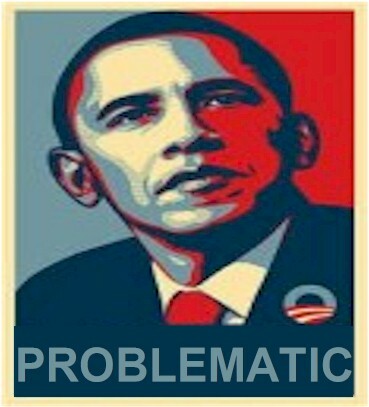 To the Obama-luvin’ mainstream media, an outright lie to and pure deception of the American people by the president of the United States, is reduced to only a “problematic claim.” And this is itself problematic. Especially when we know the news media is onto him. They know it’s a lie. When a used car salesman lies to you about the mileage, that could be a “problematic claim”. But when the president of the United States lies, that’s about as serious as it gets. The news media are being advised, as we all are, of Obama’s lies, and those of his administration and the Democratic party, by one of their own — one of the leaders of their pack — the very paper that uncovered the Watergate scandal, home of Woodward and Bernstein. The Washington Post is literally telling other news media that Obama and his acolytes are lying. This lying is a scandal. And the media’s acceptance of it, and its brushing it off or even whitewashing it, is a secondary scandal. And yet we hear crickets. The media won’t report on itself, when the report would have to be as scathing as it would in this case. The WaPo gives Obama’s “problematic claims” three, or even four “Pinocchios.” Over and over again. The Fact Checker has written several times about the fuzziness of the Medicaid numbers issued by the Obama administration. But it is like playing whack-a-mole. Every time we rap someone for getting it wrong, the same problem pops up someplace else. Deception has trickled down from the top. I will give the liberal Washington Post its due credit for even daring to call Obama out for his lies. The WaPo is practically alone in this regard, in the non-Fox News Channel universe. And you have to give the WaPo credit for literally imploring others in the mainstream media to stop, effectively, being useful idiots and spreading his lies, as instructed by the president. Bottom line: This number tells you almost nothing about how the Affordable Care Act is affecting Medicaid enrollment. Reporters need to stop using it. But it’s also “problematic” that the esteemed Washington Post can’t just come out and say what most liberal media are more than happy to say about George Bush, John McCain, Mitt Romney, Sara Palin, Ted Cruz, or any other conservative or Republican, if they ever lied. For example, Obama lied. And He is a liar. And moreover, he has a serious character flaw in that he is a liar. And he so disrespects the American people that he thinks nothing of lying to their face, repeatedly. For Obama’s lies, as president, “four Pinocchios” and dubbing it as “problematic claims” just doesn’t cut it. To exemplify what lies coming from the president or from a person running for president can do to negatively affect our lives, it can be credibly argued that Obama and the Democrats would have lost the 21012 election badly, had they not spread this ‘If you like your health care plan, you can keep it’ lie and made it their talking point, err, lying point, in chief. That should be a huge story in our lives. Big news. But again, crickets. Glenn Kessler has said that even just one Pinocchio means “misleading.” To me, even simply “misleading” is just plain lying. And when the president is the one who’s misleading, that’s bears even more weight. But four Pinocchios is described by Kessler as a “whopper.” A huge lie. So Obama and company are — how to we put this given that baseline? — flat out lying. Barack Obama seems to have a major character flaw — lying. He has passed this character flaw downward, and has enabled and emboldened others, including even those in his beloved, protective news media — those who are actually supposed to be calling him out for his dishonesty. Nobody is covering this lying scandal. Lying by omission, is lying. And that spells corrupt media. Glenn Kessler and the Washington Post also give out Geppettos, representing the wood-carver who carved Pinocchio, and those are awarded for truths. No Geppettos have been awarded for Obamacare claims made by Obama or his regime. It seems the Washington Post has an honest broker. But there’s still time for the rest of the WaPo to notice, and for other news organizations and pundits to do the right thing, and not be caught on the wrong side of truth, and history. I’d say to do it for the good of the country, but owing to their obvious allegiance to Obama and Obama-think, I’m afraid the liberal media view that as a negative. That may explain their reluctance to truthfully cover the Obama lies scandal. 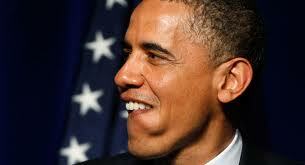 OK so let’s try this: think of how it would diminish America if Obama were revealed to be a liar! Yeah. That’s the ticket.